So, are you just going to start reading (and buying) or maybe find a list for the best books about the specific topic. I looked for lists, so that is what I will recommend you. The blog “ready to Manage” have put together the list “Top 20 Best Books on Coaching and Mentoring”. Remember such lists are subjective. Challenging Coaching is a provocative book which encourages coaches to move beyond the limitations of traditional coaching. 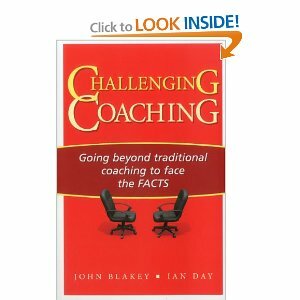 The authors detail their unique FACTS coaching model, which provides a practical and pragmatic approach focusing on Feedback, Accountability, Courageous goals, Tension, and Systems thinking. Using this model enables the reader to enter the zone of uncomfortable debate that sustainably transforms individual and bottom-line performance. The authors explore FACTS coaching in theory and in practice using case studies, example dialogues, and practical exercises so that the reader will be able to successfully challenge others using respectful yet direct techniques. 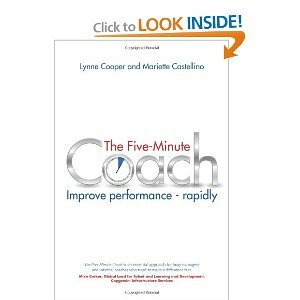 The Five-Minute Coach offers a simple, step by step guide to how to coach quickly and effortlessly and get better results at work. Designed for leaders, managers and supervisors, in any setting, this approach to coaching has been developed by the authors and used in organizations across the board large and small, private and public, with adults and teens, and across a variety of voluntary and community groups. Professional coaches have also adopted this system in their work. The book leads the reader through a simple process which changes thinking about how to work with others. Leaders no longer need to have all the answers. They benefit from true delegation. They uncover the talent and resources of others. They free up time for themselves-time to think strategically and to be more proactive, creative and innovative. 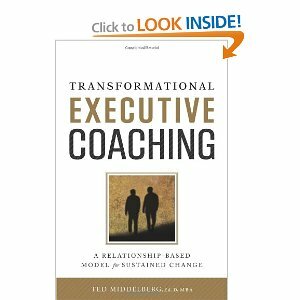 In Transformational Executive Coaching, Dr. Ted Middelberg outlines an approach to coaching leaders at the executive level. His system is built on a structured and goal-focused process that gives coaches the ability to effect and sustain the change that leaders want from a coaching engagement. Based on building relationships and using high-quality colleague feedback, the transformational method is tailored to coaches who work at the executive level, or aspire to work at the executive level. Mentoring and coaching is different. You end up listing three coaching books. Which are the best mentoring books, in your opinion. Appreciating the persistence you put into your site and in depth information you provide. It’s awesome to come across a blog every once in a while that isn’t the same old rehashed material. Wonderful read! I’ve saved your site and I’m adding your RSS feeds to my Google account.